History is oftentimes an unjust mistress choosing to forget or ignore those who deserve to be cherished or at the very least remembered. 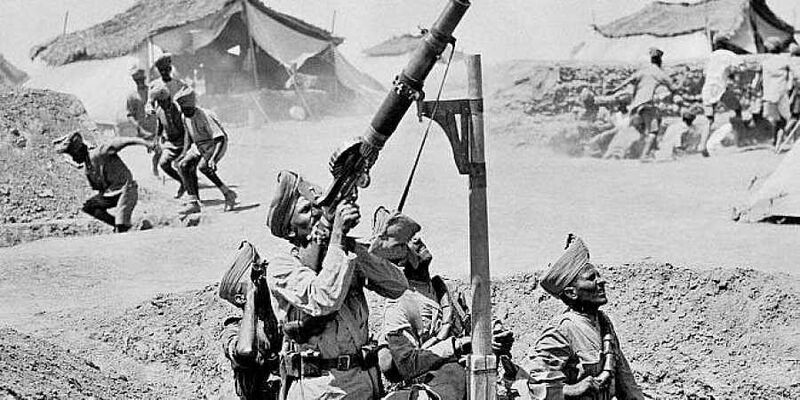 World War I fought between imperialist powers anxious to annexe more chunks of the planet for themselves irrespective of whether they called themselves the Central or Allied Powers, truly upped the ante when it came to large-scale carnage. By the time the unmitigated horror of it all came to an end, more than 16 million were dead. Many a tome or movie has been devoted to the heroics of the Allied forces for having successfully held on to their ill-gotten gains and having put themselves in a prime position to satiate their gluttonous appetite for more land and power, but not much is known about the contribution of the 1.5 million (not counting those who volunteered or were coerced into serving) Indian soldiers who fought in the Great War and left their own indelible prints in the sands of time. George Morton-Jack in The Indian Empire at War puts in painstaking effort into piecing together the lives of these intrepid warriors who lived in a tumultuous, topsy-turvy age where they were asked to fight for democratic ideals by their masters who had denied them and their countrymen the same. The book focuses not only on the nitty-gritty of an Indian soldier’s personal reality and the cultural as well as practical factors which motivated him to pick up arms on behalf of the loathed imperial overlords but also beyond and into the decision-making processes of higher forces at play in a deadly game of bloody conflict. This historian’s account is thorough and painfully blunt which is readily apparent when he discusses the mind-set of the Indian soldiers who pulled their triggers against peaceful protestors in the infamous Amritsar Massacre simply because General Dyer and ‘the British told them to’. It is a chilling example of men who are trained to obey and kill because they have been taught to put aside principles and feelings when in uniform. The puzzle of Indians who fought and killed other Indians is hard to unravel despite the divided identity of the nation and an even harder reality to stomach. The indictment of British rule in India is readily apparent given that few practised what they preached when it came to denouncing tyranny. For all their high-flown rhetoric of fighting the Great War for all the right reasons, the British to ‘ensure their primacy over Indians as their racial inferiors’ subjected them to constant belittlement and abuse while practising segregation and denying the Indian troops their basic rights such as forcing them to live in hovels, depriving them of decent medical care and rations, while of course their British counterparts were living it up in style and given double their wages. Of course, the Indian troops despite years of loyal service could not expect to be promoted to a rank that meant anything or given their own command. Worse, they were not allowed to fight white armies in case they got new-fangled ideas about their place in the racial hierarchy. There is a balance to the narrative which includes anecdotes about the bravery as well as cowardice evidenced by Indian troops and a fascinating tale of two brothers—Mir Dast and Mir Mast—one of whom remained loyal, while the other, who had won a medal for bravery, was persuaded to desert when a holy Jihad was declared by the Turkish Sultan. Even among the British officials, care has been taken to document actions that were fair, decent as well as disgraceful. Ultimately it is a stirring tribute to those troops whose ‘achievement was bearing their humiliations at the hands of the British with such strength in the face of adversity and not letting go of their humanity’.